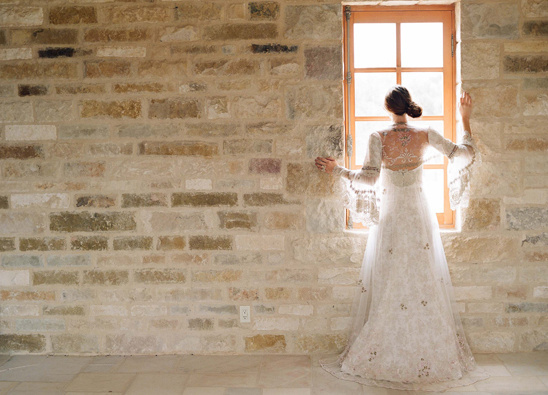 Make room for some more pretty because we are continuing our Claire Pettibone / Elizabeth Messina day with Wedding Nouveau Magazine. The leading bridal destination for intercultural, interfaith and multi-ethnic weddings. Showcasing unique global finds, real interracial weddings and contemporary style for today's modern bride. 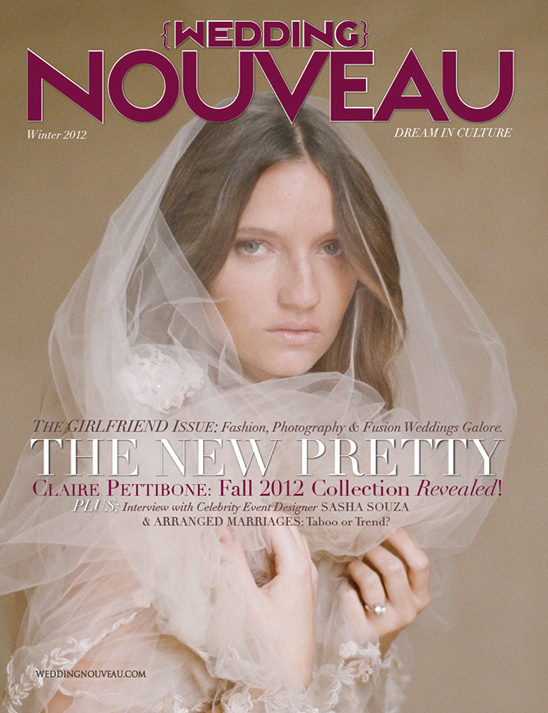 Wedding Nouveau Magazine also features The 2012 Claire Pettibone Beau Monde collection. 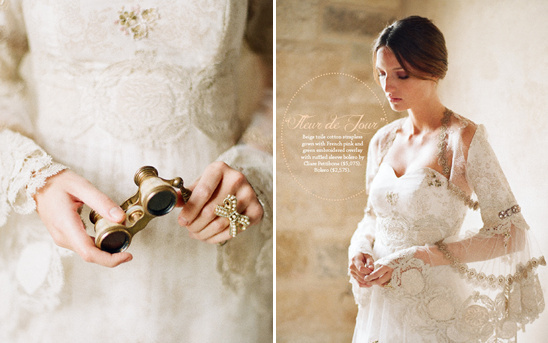 A French infused love story about antique lace, flirtatious bodices and gold trimmed ruffles. Here is just a small piece of the story and of the magazine. If you are into pretty, which we know you are - get your issue magazine by clicking here. We are in awe at all the dresses, but especially love the gown above. It has such an ethereal romantic quality that reminds us of what a princess would have worn long ago. Fleur du Jour. Beige toile cotton strapless gown with French pink and green embroidered overlay with ruffled sleeve bolero. 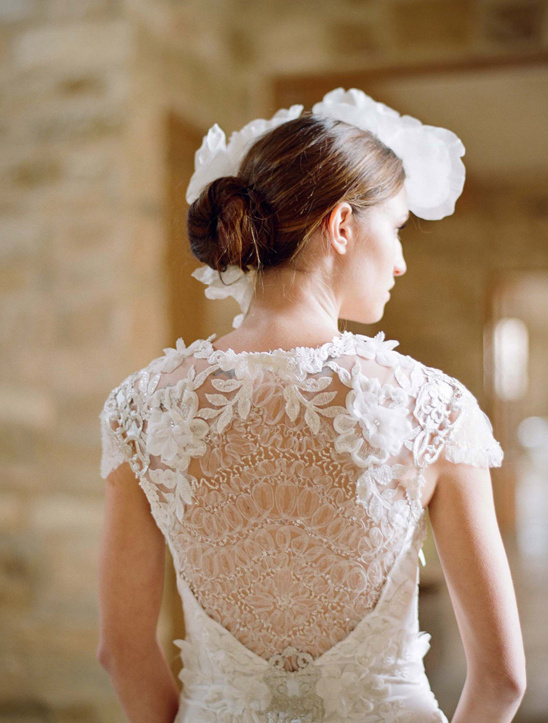 All by Claire Pettibone. The dress is $5,075 and The Bolero is $2,575. Be sure to see more of this beautiful spread captured by Elizabeth Messina. On a side note for all of you ladies out there that love a freebie, Wedding Nouveau has a Birchbox giveaway. Click here to learn more.